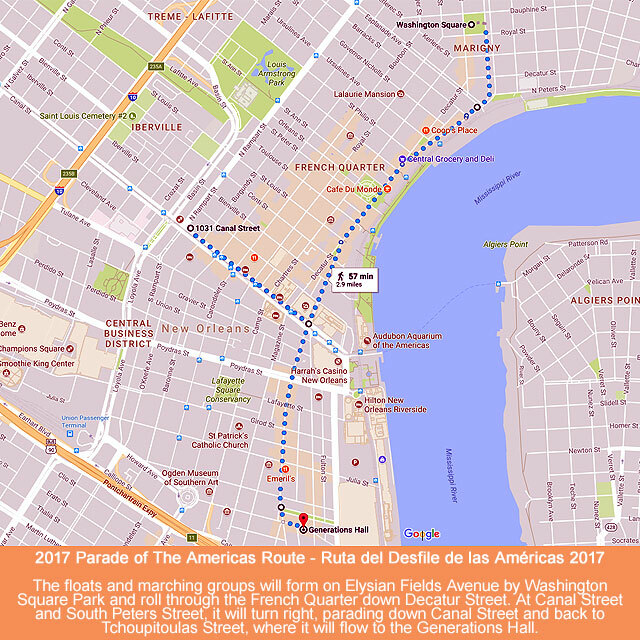 Parade of the Americas | ºººCarnaval Latinoººº ¡Viva Nueva Orleans! 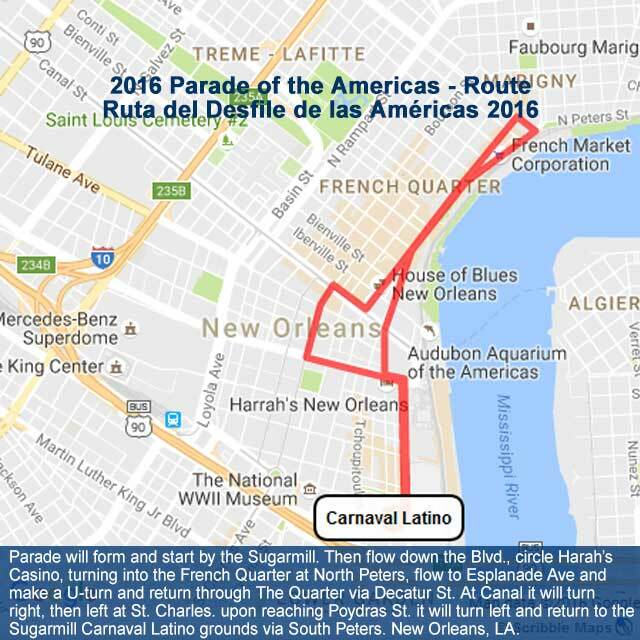 Parade of the Americas | ºººCarnaval Latinoººº ¡Viva Nueva Orleans! The Hispanic-American Musicians and Artists Cultural Association, Inc. (HAMACA) presenters of the annual Carnaval Latino, is preparing its 2018 Parade. Are you looking for sponsorship opportunities? Please visit our Parade Package Page, or download the full Parade Sponsor Package in pdf format (567 KB). You will need Adobe Acrobat Reader software, learn more. We invite you to be part of this extraordinary experience. This is a unique opportunity to celebrate Hispanic Heritage Month (September 15- October 15, 2018) and help us launch this year’s Carnaval Latino. The Hispanic community and its neighbors plan to get together and bring an International flavor to the New Orleans tradition of float parades. The cost for a country float is only $3,000 and for a commercial float is $5,000, each one can carry between thirty (30) and thirty five (35) riders. Each group is encouraged to provide its own personalized music, costumes and throws (See details here). You can’t miss this opportunity to celebrate Louisiana’s Hispanic Heritage and advertise your business. 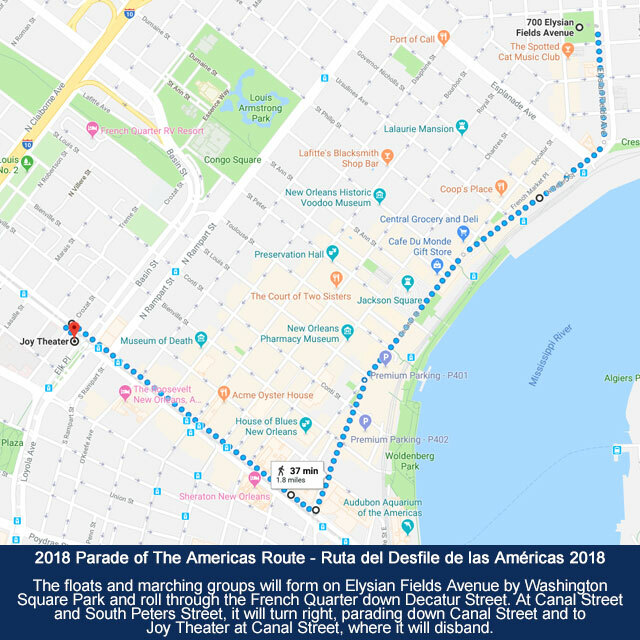 The Parade will commence on Saturday, October 13th, 2018 at 6:00 pm. 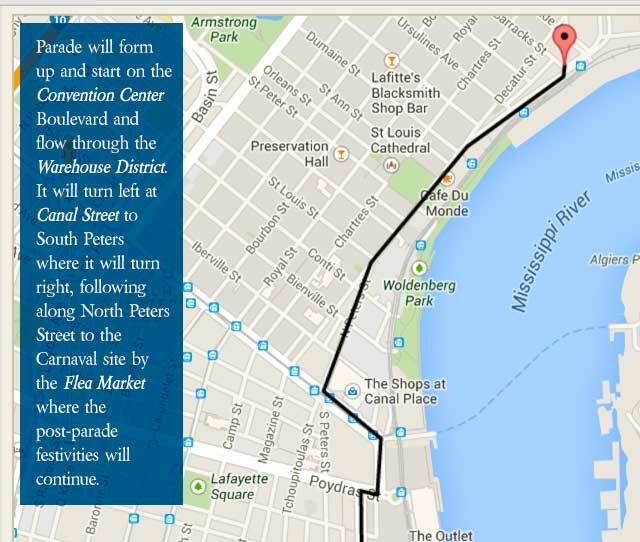 The floats and marching groups will form on Elysian Fields Avenue by Washington Square Park and roll through the French Quarter down Decatur Street. At Canal Street and South Peters Street, it will turn right, parading down Canal Street and to Joy Theater, at Canal Street where it will disband. The Carnaval Latino celebration will continue there with La Parranda. 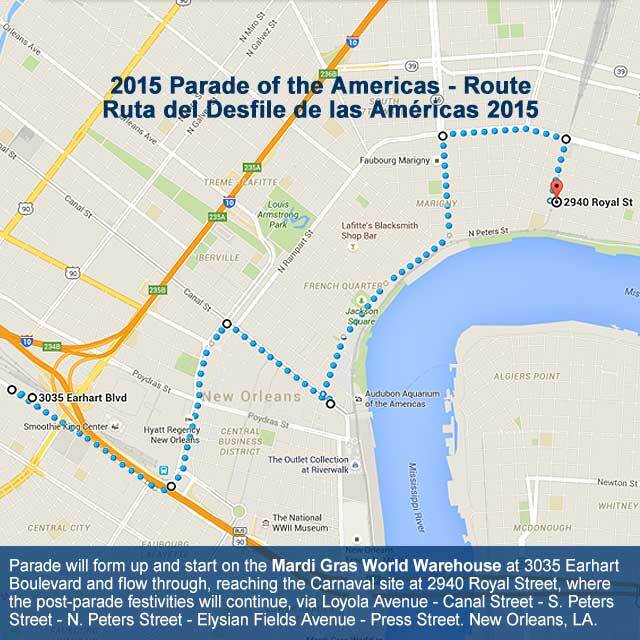 For information on how you can join the Parade call Ivelís De León at (504) 528-8560 or use our contact form. Join Us!